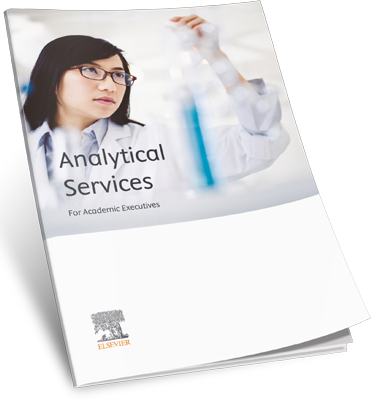 Elsevier’s Analytical Services team is experienced in serving policy makers, funders, and academic and corporate research institutions around the world. From simple, targeted reports to comprehensive multidimensional studies, as well as data delivery and web integration services, our offerings will meet your research management needs. Our team of consultants move beyond data to provide powerful insights when measuring research performance. The resulting insight answer pressing research management questions and inform decisions related to funding initiatives, their return on investment and outputs to help assess and design funding programs. what research strategies could help us? How is my research helping society? How do I foster the best team of researchers? How do I measure the impact of research I have funded? Which areas of research should I fund? How do I choose the best people to fund?